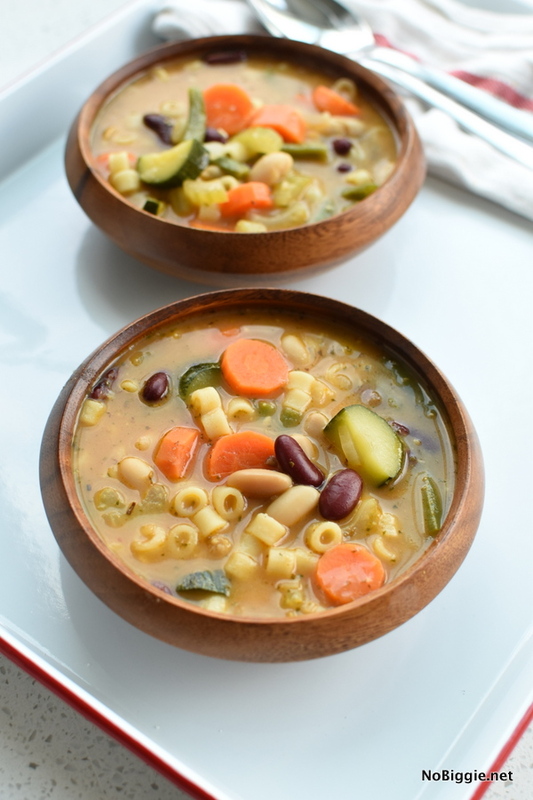 Loaded with lots of vegetables this hearty Minestrone Soup is easy to make and feeds a crowd. I don’t know about you, but getting veggies into our diets on the regular is not always the easiest thing to do. Even when I make it a point to have vegetables in our meals, there is the occasional “do I have to eat ALL my broccoli?”, or “How many more bites?” sort of comments. 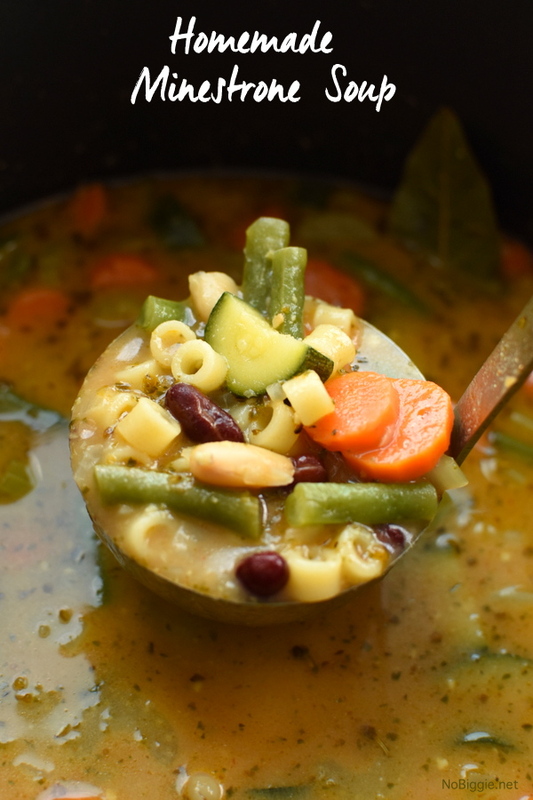 BUT when the veggies are in the soup…eating the vegetables is an automatic! 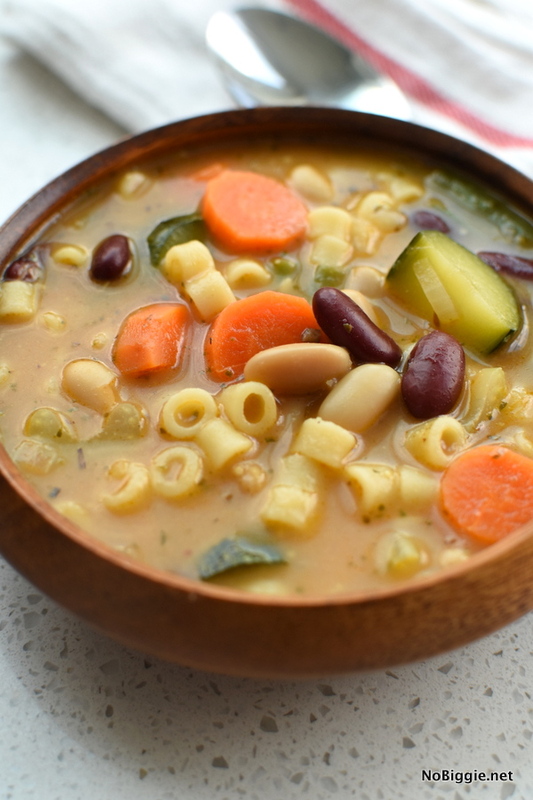 This recipe for Minestrone soup is so easy and it’s loaded with all the veggies so you can feel good about serving up a big warm bowl of comfort. 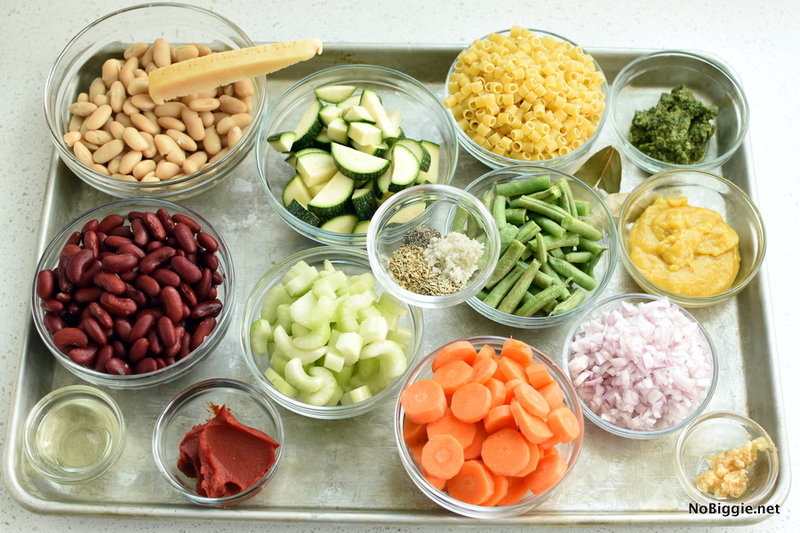 I love to show all the ingredients measured out and ready to go. This is always super helpful for me when cooking. Here is a great recipe for basil pesto. We love to make a big batch every summer and then freeze it in smaller portions so you can grab a little when you need it. 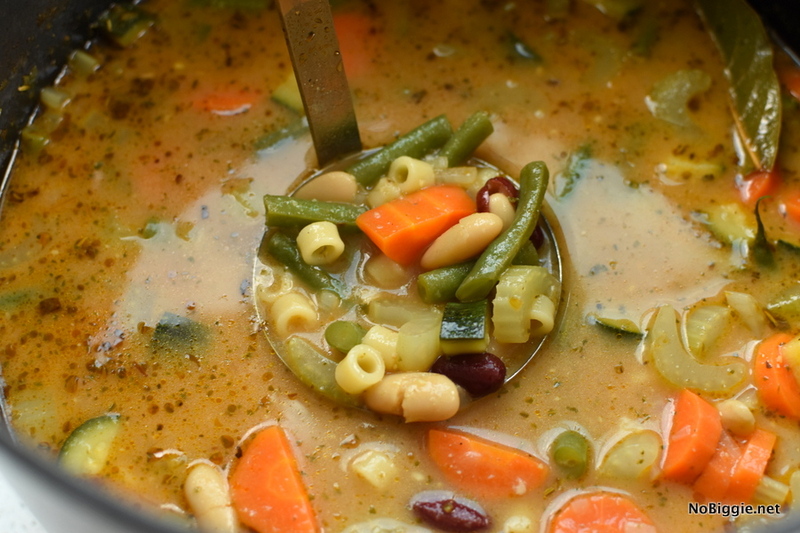 It’s that time of year when we crave big warm bowls of soup. 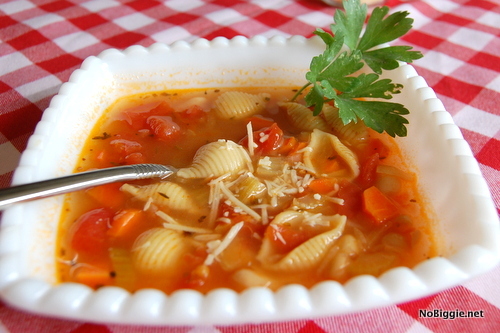 This soup would be great with bannoch bread or our favorite parmesan bread sticks. On medium high heat add olive oil to coat bottom of a stock pot. Toss in diced onions, carrot, and celery. Saute 4-5 minutes, until onions start to look translucent. Add the garlic and cook stirring until the garlic is fragrant. Add the beans, tomatoes, seasonings and parmesan rind. Stir to combine. Add the soup base and water and bring the soup to a simmer. A few ingredients to note in this recipe: the parmesan cheese rind adds a nice salty flavor, and the basil pesto adds the perfect basil flavor. It’s so good, I’m excited for you to make it! 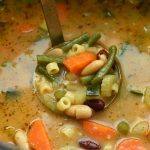 You could easily make this soup in a crock pot slow cooker, just add the ditalini pasta and the zucchini 1 hour before serving. You can add all the other ingredients 5 hours before serving at high temp. We recently updated the photos for this recipe. Here’s a look at one of the original photos. That’s it! I hope your family loves it!